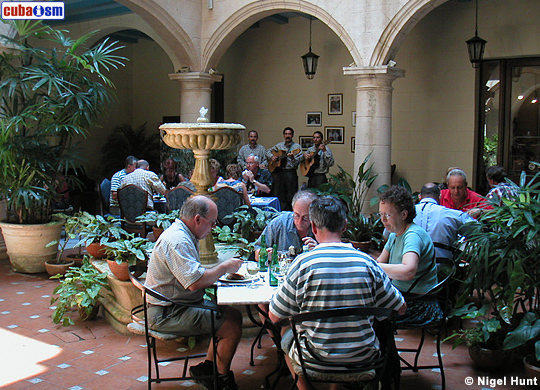 The Santa Isabel is the grandest of Old Havana’s hotels, and its location is perfect: it stands on the eastern side of the Plaza de Armas, the city’s earliest and most beautiful colonial square. Hotel Santa Isabel is located in a privileged city life environment, just in the heart of the historical center of the city of San Cristobal de la Habana, at 9 Baratillo Street Shambles, in the corners de Obispo and Narciso Lopez Streets. Surrounding Hotel Santa Isabel are Plaza de Armas next to the Palace of the General Captains, the Palacio del Segundo Cabo, the Ruben Martinez Villena Public Library, formerly headquarters of the North American Consulate, the Castle of the Real Force, the first fortified construction built in Latin America and the Templete, where the Village of San Cristobal de la Habana was founded. 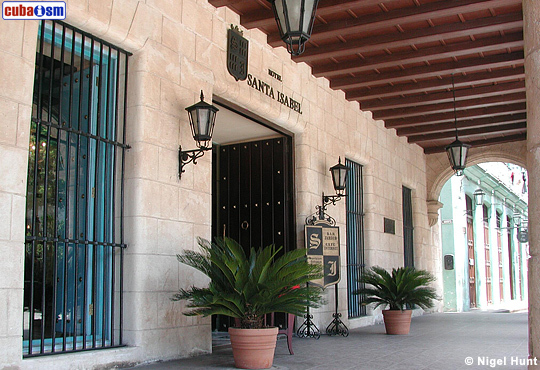 The Hotel Santa Isabel is a house of the 18th century, rebuilt at the beginning of the 19th century it became into the splendid mansion of the Counts of Santovenia. From 1867 on it was the most visited hotel artists, merchants and illustrious travellers of the epoch, who chose to stay there for the hotel’s comfort and elegance, it appeared in the trip brochures of the time having as reference to be the finest hotel in the island with services to the American style. 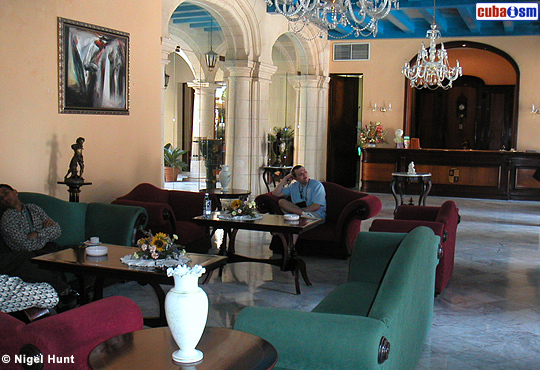 In 1997, after a hundred years of being inaugurated with a careful restoration, the Hotel Santa Isabel opened its doors with the elegance, splendour and comfort that used to characterized it providing a voyage through Cuban history, architecture, art and culture. 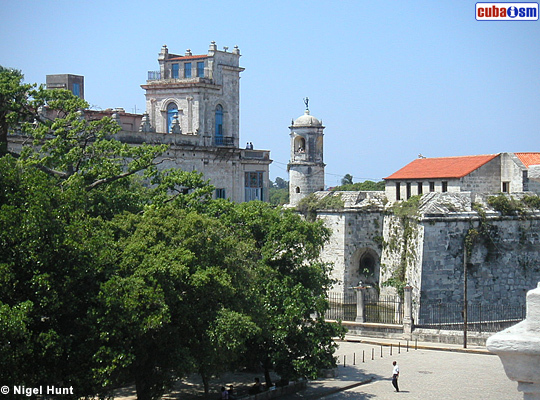 To maintain its colonial style there is no any hotel sign on its façade. The structure is distinguished for the stained glass windows. Walking through the halls of the Hotel Santa Isabel is very pleasant. The visitor is able to enjoy the decoration of the lamps, vases, figures and squares of great value. There is no swimming pool neither a gym, however, the typical traits of colonial houses are present: the beauty and abundant vegetation of the interior patio surrounded by elegant columns that sustain the upper floors, where the colonial architecture is combined with the perfect comfort of modern hotels. The foyer of the hotel is in the ground floor as well as the reception, is the desk office, the Commercial Hotel Management, El Condado Restaurant, the Pink Hall restaurant, the Santovenia Lobby Bar, El Globo snack bar, the toilets, the central kitchen and warehouses. On the second floor are located the Cyber Café, the General Management, and 13 rooms with balconies and 10 Junior suite rooms. The house keeper office is on the third floor, as well as other 1 4 double rooms, 10 of them with terrace and 4 balconies. 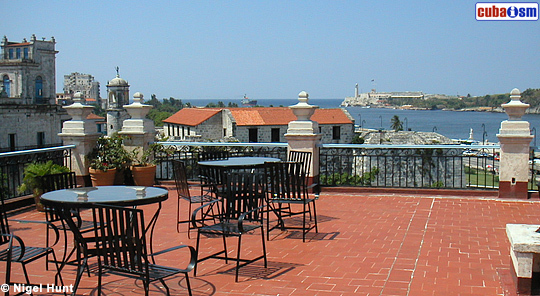 The roof of the building is also a lookout where the visitor will be able to enjoy a splendid view of the baroque and eclectic monuments of Havana, also the bay, the Christ statue of Havana, La Giraldilla among others. 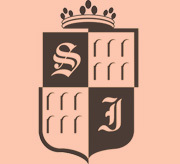 Welcome to my site dedicated to the famous and historical Hotel Santa Isabel. I am "poco a poco" researching and updating it with the aim to provide as complete as possible record of the hotel's ancient and recent history; bearing in mind that the goings-on today may one day be of historical interest.